S A N D B O X . IF THIS TEXT SUDDENLY IS REALLY UNPLEASANT TO READ, THEN THE CSS TEST HAS FINALLY YIELDED POSITIVE RESULTS. The collaborative resource for building a colony on the Red Planet. Statistics: 563 articles | 926 uploads | 140 registered contributors | 9 administrators. This is a tag template of some sort. This article is tagged for relocation to the general space wiki. My son made a Mars school project that was very thorough and worth sharing. He crafted his project based on a three step development process. Spaceships from Earth, both unmanned round rocket supply ships carrying food, Oxygen and Hydrogen, as well as Nuclear Photogenic reactors, would be send to Mars in conjunction with manned space shuttle spaceships that woudl carry space engineers (not scientists! ), to stay on Mars for the sole purpose to setup the Nuclear Photogenic reactors for electricity/heat/CO2 converter, and to dig the trenches to put the temporary living quarters, and also build the initial clear plastic domes (lightweight) to house the future biotanical garden. The space engineers would then leave for another Mars colony construction site or rotate back to Earth and then the initial colonists would arrive to take up the next step of the colony. 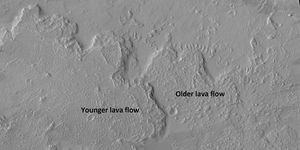 The colonists would construct/maintain the living quarters, plant vegatation, install distilory machines (all the ingredients to make alcohol on Mars!, for export/antiseptic/fuel/etc.) and also start deep mining activity to build future habitation below the surface (for the ultraviolet radiation is not blocked by Mars atmosphere, infrared is blocked by Carbon Dioxide). 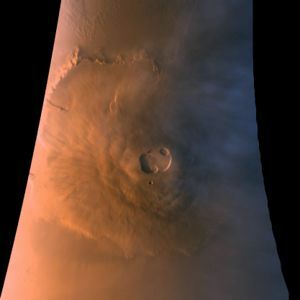 Steel production on Mars would also be a big export since Steel is 99% Iron and 1% carbon, which Mars has abundance of. The Nuclear photovoltic engines would provide the heat and electrical energy to support all the colonies power/heat needs. The colonists would also build pressurized containers to store fresh water, waste water, alcohol, ammonia, and compressed air such as methane, carbon dioxide, hydrogen, oxygen, and other medical needs such as nitrous oxide, hydrogen sulfide, etc. Recycling everything from water/kitchen/human waste is essential, and new biotanical gardens will be planted to expediate the conversion of waste back into reusable water/top soil. Supporting the biotanical gardens and creating new garden domes will be a life long career. Building tunnals below the surface will also be a career duty on Mars (reminds me of the movie "Total Recall". Once the colony is sustainable without need for resupply ships from Earth, then Mars can also function as a penial colony for the dual purpose to put hardened criminals to good use working to improve Mars as well as alleviating the population epidemic on Earth. Mars will then focus on its role as space port for exploration/colonization of Jupitor and Saturn moons. 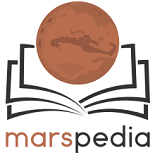 Marspedia has some sister sites, a general space wiki at Exoplatz, a space dictionary at Exodictionary, a Moon wiki at Lunarpedia, and scientific fiction at Scientifiction.org.